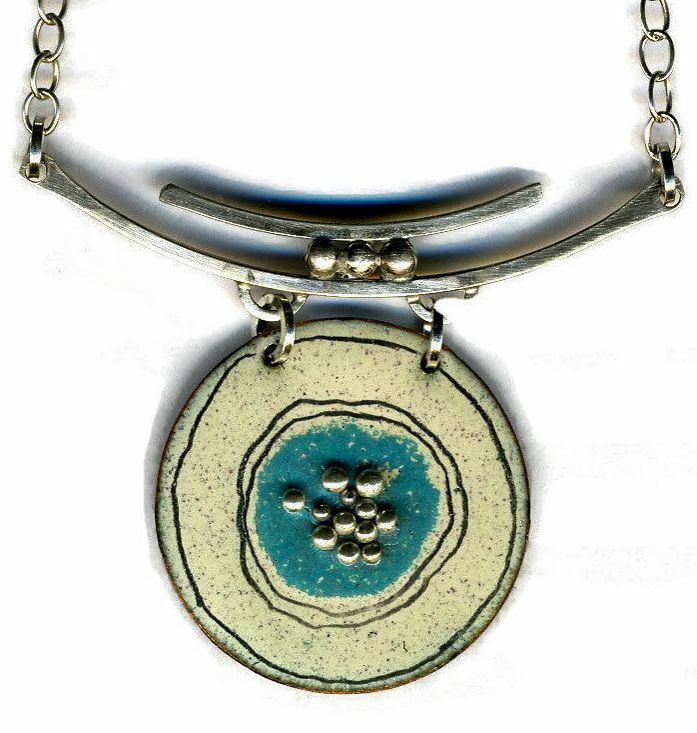 Enameled 1-1/4" disc with splash of color. The disc is copper, which has been enameled with a soft ivory color. The center, as shown, is aqua blue and embedded with fine silver balls. It is available with center color of aqua, red, lime, violet, gold and willow. It is suspended from a double silver bar and finished with a sterling cable chain that is adjustable from 16" to 19". Longer length available upon request.